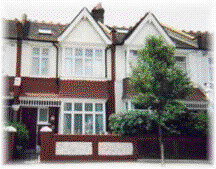 Bed and Breakfasts near East Putney for 1 night from Fri Apr 19, 2019 to Sat Apr 20, 2019 within 25 miles, in an Average Nightly price range of £1 to £200. Discover this most exquisite of Battersea with The So Group s Newest Hotel to collection The So Park . A stunning boutique 4-star property perfectly located for every visit. The So Park offers spacious and modern air-conditioned rooms with sofa beds and junior suite s which are above average in size for luxury hotel rooms in London. Guest can enjoy a fully-equipped kitchenette free w-fi HD TV private bathroom with separate bath or walk in shower facilities and complimentary tea/coffee replenished on daily basis. A secure underground car park is available for guests at a cost of �15/day. The So Park enjoys a prime location in Central London s Battersea close to Battersea Park and adjacent to Albert Bridge. From The So Park there is an easy access to Clapham Junction Underground Station Pimlico Underground Station and other nearby stations including Queenstown Road Station and Battersea Park Station. For access to many of the city s greatest attractions such as Oxford Circus Piccadilly Circus Kensington Palace Hyde Park Portobello Market and Buckingham Palace the hotel is situated within the major bus routes which services all these areas and many more. Lord Kensington is a friendly family owned hotel situated in a quiet street just a two-minute walk from Earls Court tube station. We have 23 spotless and tastefully decorated en-suite bedrooms equipped with a range of facilities. Our professional staff will do everything possible to make you feel at home and ensure your stay is comfortable and relaxed and a varied and tasty continental breakfast is included in the price. We are located in the exclusive borough of Kensington and Chelsea close to the fashionable shopping areas of Kensington High Street Knightsbridge (Harrods) and Kings Road as well as major tourist attractions including The Royal Albert Hall Kensington Palace and the Natural History Science and V&A Museums. There is an abundance of bars and restaurants on our doorstep to which are staff will be delighted to direct you. We are beside Earls Court exhibition centre and close to Olympia making it an ideal base for both the business and leisure traveller. In London's fashionable Kensington, overlooking the tranquil gardens of Nevern Square, this luxurious and intimate 4-star hotel offers free Wi-Fi and individually decorated boutique-style rooms. The Twenty Nevern Square Hotel is a beautifully restored Victorian town house boasting stylish and elegant individual private bathrooms. Featuring an attractive mix of European and Oriental influences, some rooms boast specially hand-carved deluxe four-poster beds and others have Egyptian sleigh beds. All of the bathrooms have white floor-to-ceiling marble and come with soft, luxurious towel bathrobes and exclusive toiletries. In the morning, a continental breakfast is served. 24-hour room service and a bar are also available, except from Sunday evening's. The hotel is just a 5-minute walk from Earls Court Exhibition Centre and Earl's Court London Underground Station, which offers fast, easy access to any part of the city. Knightsbridge and London's West End are within easy reach.